A Sample of Gouda – Photographs and Hidden Narratives of Gouda is the second book about this Dutch city by expats Persephone Abbott and Vinita Salomé. Their first book, published in 2012, The Bee’s Tour of Gouda, Buzzing through Vinita’s Lens, is a walking tour guide, complete with photographic highlights for the walker to identify along the route. The interest this guidebook attracted from the expat community and international media motivated Abbott and Salomé to continue their artistic collaboration. A Sample of Gouda is filled with beautiful photographs of historical relics located around the city, yet often missed by people living in or visiting Gouda. Each photograph is accompanied by a short story based on individuals like Davud from Bosnia, Nancy from New Jersey and Raj from Mumbai – people who relocated to Gouda from different countries and cultures. These concocted tales are loosely associated to the image apparent in the photograph on the facing page. In terms of a city or culture guide, A Sample of Gouda- Photographs and Hidden Narratives of Gouda offers something new to Gouda and the increasing number of books about everything and anything ‘Dutch’. The book does not showcase the best of what the city, or Dutch culture, has to offer. Instead it offers readers 31 fictitious perspectives of trying to fit in to Gouda and the local culture as a foreigner. The struggles, apparent in the short stories, are given counterbalance by the photographic evidence of an old culture shaped by religion, traditions, and history. 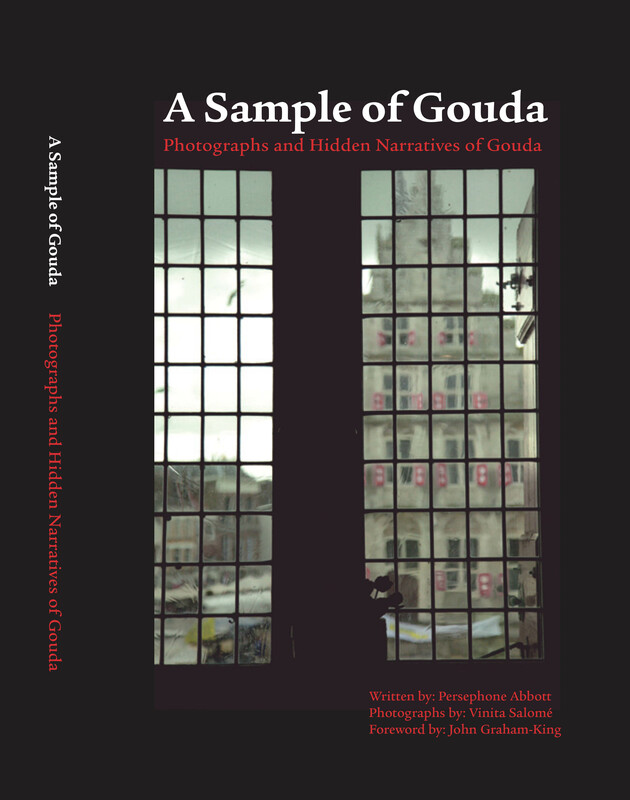 A Sample of Gouda- Photographs and Hidden Narratives of Gouda is a creative and interesting book by two women with an obvious love of Gouda and an understanding of the challenges many expats face with integration into this city.